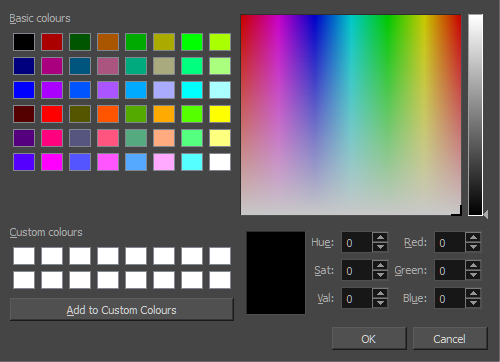 The Select Colour dialog box lets you set the colour of layers and columns. Using colours for layers and columns helps to differentiate them visually, making them easy to identify. The colours you choose will be reflected in the Node view.